I arrived in Paris one day too late last year to see the "once in a lifetime" exhibit at the Musée d'Orsay of Paul Cezanne's portraits. So I was happy when I was in Washington, DC a few weeks ago to find the same show just opening at the National Gallery. It was wonderful to have the chance to take a closer look at this great master's figure paintings. Paul Cezanne is more known for his landscapes and still life, but figures were an important focus for him. In fact, he taught himself to paint by using his friends and family as subject matter. Two early portraits by Cezanne in Aix-en-Provence of his sister and uncle. 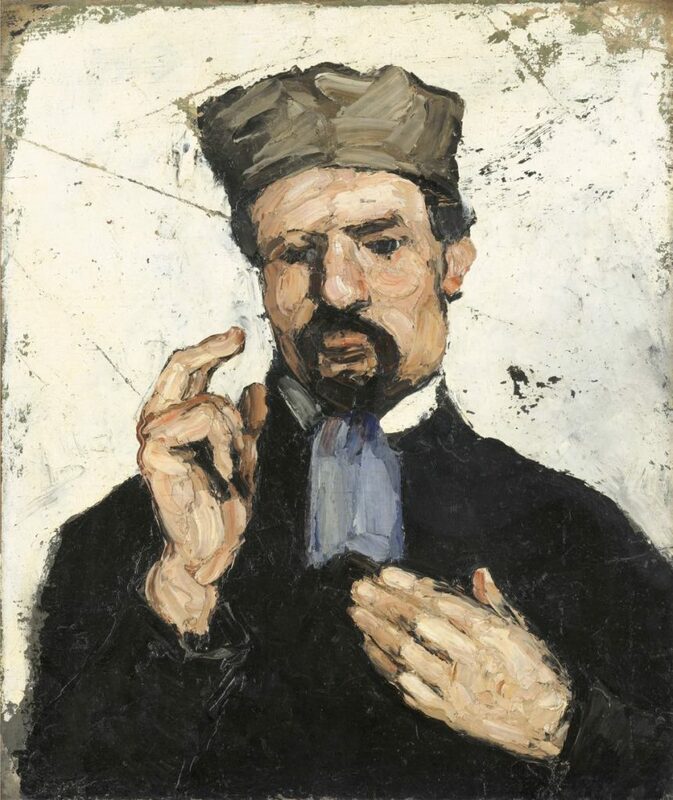 Cezanne continued through the years to explore the figure by painting the few people who were close to him in his very private life. 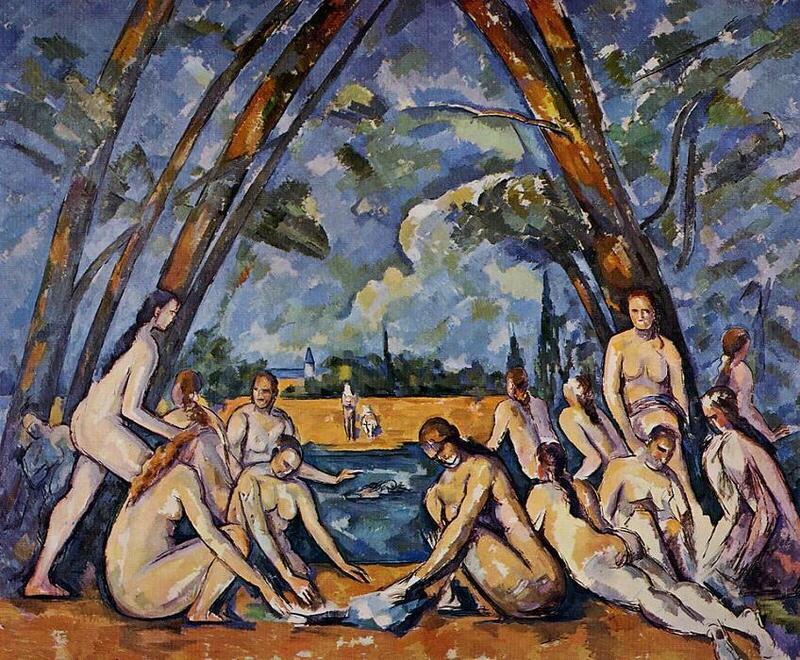 Adding to these figure paintings of friends and family were Cezanne's many self-portraits, and the imaginary compositions of his great "Bathers" series. 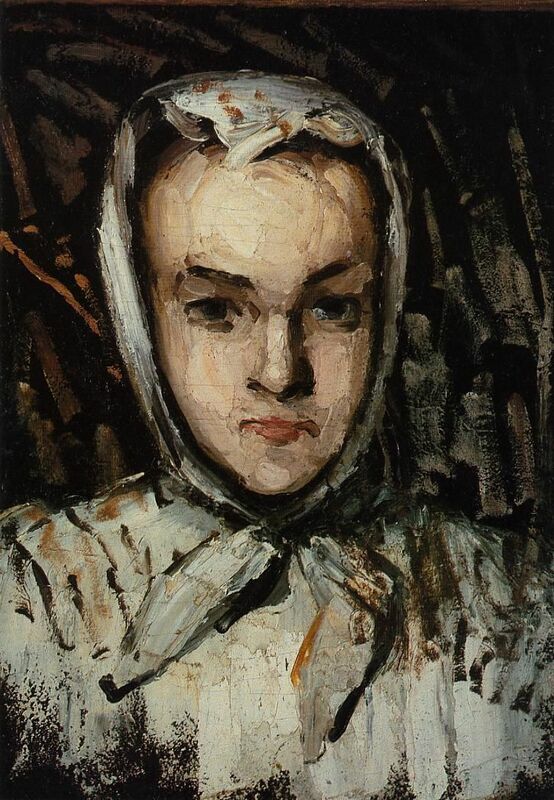 In the exhibit "Cezanne Portraits" there were intimate studies that were beautifully modeled and sensitively colored. But I especially loved the "monumental" portraits, the complex, grand-scaled compositions that dominate the room with their character and intensity. "Woman with a Coffee Pot"
"Madame Cezanne in a Red Dress"
Seeing the actual paintings rather than reproductions allowed a close look at the details of these ambitious designs. I noticed, for example, that Cezanne put as much work into the hands as he did into the heads of his figures. As always with Cezanne, the "neutral" tones, the greys, whites and blacks, are crammed full of color. Take a look at what he does with this plain grey suit. Or this simple white shirt. These "neutral" areas, with their little touches of red, blue, yellow and green, bring together all the varied colors in the painting. 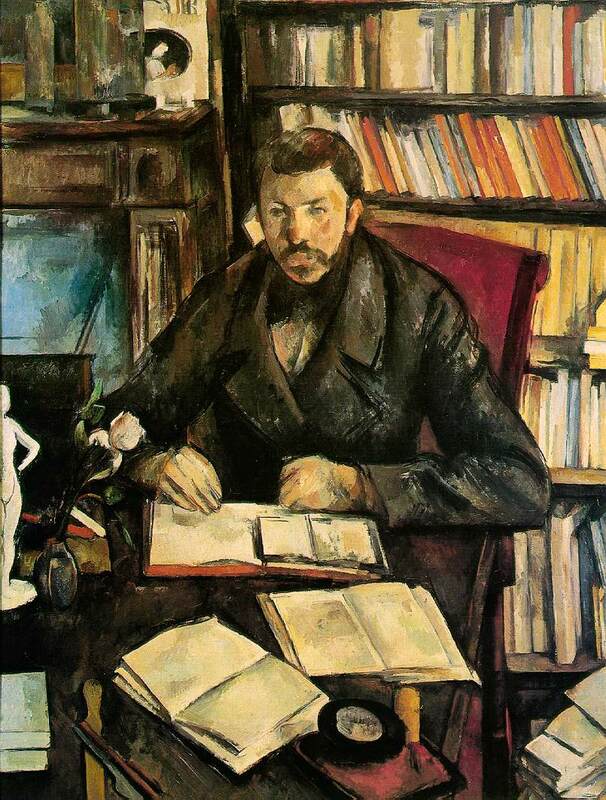 For Cezanne, as for any great artists, no part of the composition is considered unimportant. All separate areas lock together into a complete, perfect whole. Cezanne does marvelous things with the parts of the painting--the walls, floor, and empty spaces around the figure--that a lesser painter would approach as an afterthought. When I finally left the Cezanne Portraits" exhibit, I wandered over to the NGA's permanent collection of Paul Cezanne paintings, which is one of my favorite rooms in the museum. I was happy to be there away from the crowds, able to take my time in front of each still life and landscape painting. Like Cezanne's portraits, they reward a closer look. Detail of "A Bend in the Road", one of Cezanne's last paintings.